DJ Skelton has served in the United States Army for the past 18 years. He was severely wounded in 2004 while leading a rifle infantry platoon in Fallujah, Iraq. After his recovery, DJ dedicated himself to advancing the causes of wounded veterans. He served as a military advisor to the Deputy Secretary of Defense and as a Special Assistant to the Chairman of the Joint Chiefs of Staff, advising on wounded warrior policy and veterans issues. DJ Skelton served as a company commander at DLI, and also as the Associate Dean for DLI’s Middle East School. He eventually returned to the Infantry and redeployed before being selected to become a China Foreign Area Officer (FAO). MAJ Skelton has served in Iraq, Afghanistan, Germany, and China. He has also served as a Non-Resident Military Fellow at the Center for a New American Security and is a current term member of the Council on Foreign Relations. DJ Skelton is a graduate of DLI’s Mandarin Chinese Course and the United States Military Academy at West Point. He is also one of the youngest graduates of Harvard’s Senior Executive Fellowship program. He is currently pursuing a Master of Arts in International Relations at the Naval Postgraduate School in Monterey, California. Hailing from the rural Midwest, J. settled along the Central California Coast in the fall of 2001. Transplanted by the Army to study Arabic at the Defense Language Institute, Foreign Language Center; the Monterey Peninsula instantly became home. When his service to our nation was complete, J. returned to Monterey, determined to give back to the community that had offered him so much. J. founded The Mattox Group on the bedrock principle that every business or individual is entitled to the highest level of service and attention to detail Whatever your circumstances, J. is daily motivated to provide outstanding support and incomparable value to a diverse range of underserved clients. With a Bachelor of Science in Business Administration/Accounting and nearly two decades of accounting and entrepreneurial experience, J. has the skills and drive to accelerate your organization into the future. As an Enrolled Agent, licensed to represent taxpayers before the Internal Revenue Service, J. provides that extra level of attention to ensure your utmost satisfaction. J. and his wife Elisabeth, a graduate of the Panetta Institute for Public Policy, are devoted to the vibrant and diverse Monterey Peninsula community. In particular, through their work with the Veterans Transition Center, J. and Elisabeth are working to eliminate homelessness among Veterans on the California Central Coast. J. continues his work in the Veterans community, serving one of our most treasured clients, The Central Coast Veterans Cemetery Foundation. COL Pick is currently the City Manager for Del Rey Oaks, California. COL Pick served in the United States Army for 26+ years before retiring in 2014. COL Pick served as a Military Intelligence Officer for several years before becoming a Middle East Foreign Area Officer (FAO). As a FAO, COL Pick served in Kuwait, Iraq, and Jordan. He then came to Monterey, California to serve as DLI’s FAO Program Director, and later, the Commander of DLI from 2010-2014. COL Pick also served as a National Security Affairs Fellow at the Hoover Institution at Stanford University from 2009-2010. COL Pick speaks Arabic, Persian-Farsi, Persian-Dari, and Assyrian, and is a graduate of DLI’s Arabic Course. 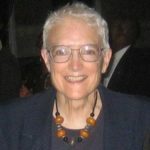 Sue Ann Sandusky is a retired US Army colonel who served as the Commandant of the Defense Language Institute Foreign Language Center and commander of the Presidio of Monterey, 2007-2010. She is currently a member of the DLI Foundation Board of Directors. A graduate of the DLIFLC French basic course and a Sub-Saharan Africa Foreign Area Officer (regional specialist), she spent nearly a third of her 37-year Army career in and around African hot spots, including assignments as the U.S. Defense Attaché in Liberia, Democratic Republic of Congo, Côte d’Ivoire and Nigeria. She directly supported four noncombatant evacuation operations, three West African peacekeeping missions, one US Embassy closure—and subsequent reopening. She deployed to Somalia with a Zimbabwe infantry company, and assisted with the deployment of Nigerian troops to Darfur, Sudan. She was present at the start of conflicts in Congo-Kinshasa in 1998 and Côte d’Ivoire in 2002 and helped bring an end to conflict in Liberia in 2003. For her work in Africa, she received awards from the Department of Defense, the Department of State, the Economic Community of West African States, the Government of Côte d’Ivoire and the Government of Liberia. In 2008 she was inducted into the Defense Attaché Hall of Fame at the Defense Intelligence Agency. 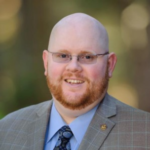 Scott is a Business Development Director with LanguageLine Solutions and works with valued clients to assess their language access programs and provide recommendations tailored to their individual organizational needs. His role is to support and alleviate any concerns clients may have about written translation and localization needs by recommending the most appropriate solutions within the LanguageLine Translation Solutions suite of products. Previously, Scott was a Product Manager for Over-the-Phone Interpretation and Testing and Training. His leadership guided the development of the new eLanguage Proficiency Test that won the 2015 Gold Stevie Award and People’s Choice Award from the American Business Awards. He has worked with LanguageLine Solutions for more than eight years, developing, launching, and selling new products – and has two patents; 1) for the invention of a multi-channel and multi-modal language text/voice system to support text-to-911 platforms, and 2) for inventing the use of an Artificial Intelligence based Language Interpretation System. Prior to joining LanguageLine, he worked for Pfizer as a Regional Sales Representative for Northern California and as an Aviation Officer in the U.S. Army. 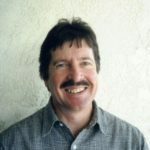 Scott served as an U.S. Army Lieutenant Colonel in various positions of leadership, to include Chief of Plans and Operations at Fort Hunter Liggett and the Dean of the Immersion Language Office for the Defense Language Institute at the Presidio of Monterey. As the Dean of the Immersion Language Office, he managed overseas and domestic language training programs for over 200 students in 15 countries. He is the recipient of the Bronze Star and Air Medal for his service during the Iraq conflict as an Aviation Officer. 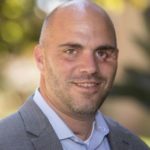 Jason Forrester is an expert in health and employment challenges and opportunities for the post-9/11 generation of troops, military families, and Veterans. 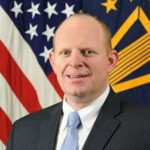 Serving as a Department of Defense (DoD) presidential appointee from 2009-2015, Mr. Forrester was one of the longest-serving members of this administration. In his final post, Mr. Forrester was a Deputy Assistant Secretary of Defense (DASD) responsible for the well-being of 1.1 million members of the National Guard and Reserve. His work as DASD focused on increasing health care coverage, capitalizing on civilian-acquired cyber capabilities, strengthening language and cultural skills for security cooperation, and facilitating post-active military service transfer into the Reserve Component. Mr. Forrester has also served as the leader in the Office of the Secretary of Defense for National Guard and Reserve suicide prevention, sexual assault prevention/response, and diversity promotion. Mr. Forrester worked for the Army Secretariat, for the Secretary of Defense’s legislative affairs office, as well as for The Carter Center, Senator Jay Rockefeller, the Center for Strategic & International Studies, and the Brookings Institution. He has served as a national security or Veterans policy advisor in every presidential election cycle since 2000. His areas of expertise include nuclear terrorism prevention and democracy promotion. 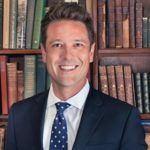 Mr. Forrester graduated Phi Beta Kappa from Sewanee: The University of the South and received a Master of Arts in Law and Diplomacy from the Fletcher School of Law and Diplomacy at Tufts University. He was named Sewanee’s distinguished young alumnus in 2008. He is a member of the Council on Foreign Relations, the International Institute for Strategic Studies, and The Army and Navy Club. He has been named a Thomas J. Watson Foundation fellow, an NCAA postgraduate scholar, and a National Football Foundation/College Football Hall of Fame scholar-athlete. Russ began his career with Intel in 1976 as one of the first 100 employees of the Systems Division. He was then recruited to join Sun Microsystems in 1982, where as a founding shareholder, he held many roles including the position of Vice President of Operations during the highest growth phase of the business. 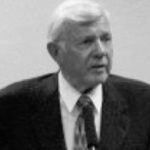 He served concurrently as a member of the Executive Committee and later became President of Sun Federal, a wholly-owned subsidiary that he founded to focus on sales to the CIA and NSA. In it’s second year in business, Sun Federal secured a five hundred million dollar contract to supply computer systems to the NSA. During Russ’ tenure, Sun was the fastest growing company in the United States ultimately reaching eight billion in annual revenue. 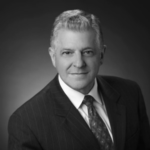 Retiring from Sun, Russ joined the venture capital firm of Kleiner, Perkins, Caufield & Byers and served at several of their portfolio companies in the roles of corporate officer, CEO, and Board Member. Russ relocated to the California Central Coast, where he continued his entrepreneurial efforts as a founding Director of Computer Motion in Santa Barbara which developed the Aesop and deVinci surgical robots (Nasdaq RBOT). He was a founding Director of Surveyor Corporation (image recognition security software), Terabit (opto-electronics), Good Technology (enterprise smartphone communications software) and Alvesta where he was co-founder and Chairman (opto-electronics). Most recently, he was founder and Chairman of Applied Silver (large scale ionic silver treatment for preventing hospital acquired infections (HAI). Russ continues to pursue entrepreneurship working with both UCSB and Cal Poly where he has been a member of the President’s Cabinet Advisory Council for over a decade. He is a graduate of the California State Polytechnic College in San Luis Obispo, where as a student, he founded several startups businesses. After graduation from college, Russ enlisted in the Navy and later served in the U.S. Naval Air Reserve. Matthew Moneyhon is Managing Partner and COO at Ergo, a global intelligence and advisory firm. He leads Ergo’s Asia practice and in that capacity has directed complex political, economic, and market-specific research on countries ranging from Vietnam to North Korea. Mr. Moneyhon previously worked for the U.S. State Department, the United Nations, Gerson Lehrman Group (a leading Wall Street research firm), and a range of academic and policy-oriented public and non-profit organizations. He currently serves on the board of Four Rivers, a company focused on making investments into Myanmar. Matthew graduated with highest honors from the University of Texas, where he majored in English Literature and Asian Studies. He also holds a JD and MA in Chinese studies from the University of Hawaii, where he was an East West Center Degree Fellow, and a Master of International Relations from Columbia University. He has done academic work on a variety of topics—including economic and infrastructure development in China; his work has been cited in testimony to Congress and used in graduate courses in universities around the world. He speaks Mandarin and is a Term Member of the Council on Foreign Relations. Yining Zhao founded and currently leads the Content Engineering team at YouTube. His team of 15 engineers leverage engineering solutions to multiply the effectiveness and reach of YouTube’s business and operations organization. Prior to founding the team, he was the frontend tech-lead for YouTube’s desktop website team and lead the development of the previous several iterations of the YouTube website (https://www.youtube.com/). YouTube is the world’s premier video sharing website and one of the largest search engines in the world, second only to its parent company, Google, in number of queries searched. Yining received a B.S. of Economics from U.C. Berkeley. During college, he interned for the Beijing Development and Reform Commission in China. While he took great pleasure in studying the major, his professional career has largely been focused in tech. One of his first forays into the tech world was building a website to run and coordinate the DLPT Chinese Validation test. Prior to his 5 year tenure at YouTube, Yining worked as a frontend engineer at several other Silicon Valley start ups, including the social media website, Digg.com. Yining is a 1st generation Chinese immigrant, having come to the United States with his parents at the age of 5. 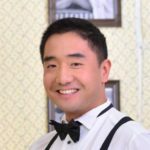 He is a heritage mandarin speaker and is self taught in reading and writing Chinese, with a DLPT rating of 2+. In his youth, Yining received the Congress-Bundestag Youth Scholarship and was awarded the chance to study in Germany for a year as an exchange student. From this opportunity Yining, acquired a great appreciation for Lagers and Weizens, as well as fluency in German. Lieutenant General Gard currently serves as Chairman of the Center for Arms Control and Non-Proliferation where he focuses on national security issues and polices. Lt. General Gard served in the United States Army for 31 years before retiring in 1981. During his military career, Lt. General Gard served in Korea, Vietnam, and Germany. He also served as Executive Assistant to two secretaries of defense; the first Director of Human Resources Development for the U.S. Army; Special Assistant to the Assistant Secretary of Defense for International Security Affairs; and President of the National Defense University. After retiring from the Army, Lt. General Gard served as director of the Johns Hopkins University School of Advanced International Studies Center in Bologna, Italy, and later as President of the Monterey Institute of International Studies. He currently serves on the board of numerous non-profit organizations and is a member of the Council on Foreign Relations. Mr. Nilsson is the Chairman of Eureka Group Inc., a private investment and consulting firm that he founded in 1972. He formerly served as President of Cooper Laboratories, Inc.; President of Cooper Lasersonics, Inc.; Managing Director of Pfizer Taito Ltd.; President of Max Factor, Japan; and Chairman of the Monterey Institute of International Studies. 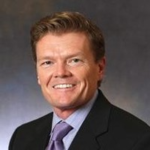 Mr. Nilsson brings years of extensive experience in public relations, market planning, telecommunications, international affairs, and general management to the DLI Foundation. 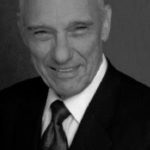 He is a graduate of DLI, co-founder of the DLI Foundation, and served as its first Chairman. Benjamin (Ben) De La Selva retired in January 2005 from the Defense Language Institute after 40 years of federal service. 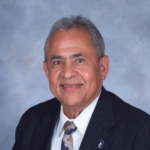 Born in Nicaragua, he immigrated to the USA in 1961, subsequently serving in the U.S. Army. In the mid-1960s he studied French and Polish at DLI and served a tour in Vietnam with the 173rd Airborne as Prisoner of War interrogator and French linguist. After leaving the military and getting an MA degree in education Ben was hired at DLI, where he occupied numerous positions from 1972 to 2005. Rising from teacher to professor and dean at DLI, he supervised each and every DLI language program and participated in the development of much needed Spanish, Chinese, Korean, and Arabic curricula. During 20 consecutive years, Ben served as dean of every DLI resident school. As a dean, he participated in several pioneering initiatives and in the introduction of up-to-date teaching methods. After his retirement, Ben continued his association with the U.S. government in his capacity as President of the DLI Alumni Association (DLIAA), a non-profit organization he founded in November 2001. In April 2005, California Representative Sam Farr entered Ben’s name and achievements into the permanent record of the US House of Representatives. Moreover, on 2 November 2007, Ben was inducted into the DLI Hall of fame. With the merger of DLIAA with the DLI Foundation in 2013, he was appointed to the Board of Directors of the DLI Foundation.